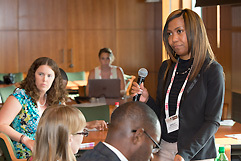 "I very much appreciated the candor and discussion from and between participants, the data presented, and the working sessions that provided opportunity to brainstorm potential solutions to diversity challenges." 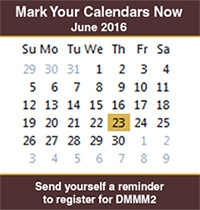 New programming details are available now—view the Summit Schedule and start planning for DMMM2 today. 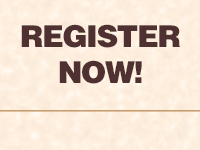 Over the course of two days, DMMM2 attendees will hear from inspiring, high-level invited speakers, participate in interactive breakout sessions by summit theme and career stage, and gain immediately applicable skills in professional development workshops. Structured programming is enriched by ample networking opportunities to facilitate informal learning and professional connections meant to last long after the summit has adjourned.